Boogie Wipes dissolve mucus caused by allergies and the common cold. They provide a extra soft, hypoallergenic and alcohol free alternative to dry tissues. We tried these out and my daughter loves them they are so gentle on the nose and very refreshing we tried the clean scent so far and I can tell you we love them already. 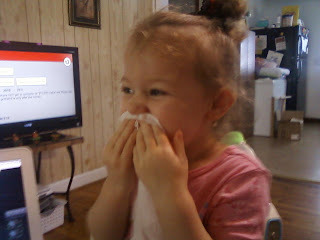 When my kids have stuffy and runny noses I will be using these. They come in clean scent, grape, menthol, or unscented. 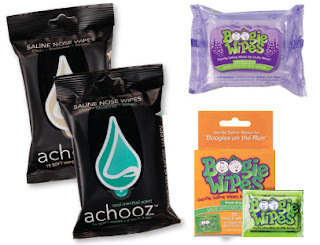 New from boogie wipes are Saline Soothers moisturizing nose wipes. 6. Go check out my Youtube for a Extra Entry and post a comment with your blog name and follow all the rules on that video. Enter ma please! These look so cool! I would like to have my daughter try Grape! I followed all rules. I like them on facebook/ Yolanda Robinson. I thank you for sponsoring your giveaway. I entered on youtube/mrsskyrob69. I would like the fresh scent if i won. Youtube name Theyinspireme,Also I did all the requiements kym mua on facebook.